As the dawn of a new age is not yet upon us, and the long awaited Brexit day (29 March 2019) has been and gone, we must still follow closely the passing of new EU legislation which, until we know what is happening with Brexit, may still end up being implemented here. 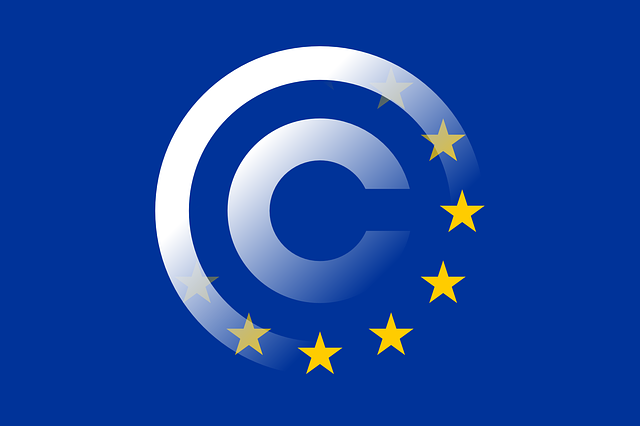 One such new law is the Directive on Copyright in the Digital Single Market (Copyright Directive) 2016/0280 which has finally been agreed and passed by the European Parliament after two and a half years of deliberating and voting. Interesting that it took the European Parliament more than two years to agree this one directive, yet the UK thought Brexit could be hammered out within a similar time frame! The Copyright Directive has a twofold purpose, outlined in a recent press release (here), aiming "to ensure that the longstanding rights and obligations of copyright law also apply to the internet" and "to ensure that the internet remains a space for freedom of expression". This dichotomy is what has caused the delay in implementation. We wrote about the Copyright Directive back in September last year (see The Return of the EU Copyright Directive and the 'Bestseller Clause') when it had yet to pass through the European Parliament. We discussed the then Article 14 (now 18) 'Bestseller Clause' (giving authors and key performers the right to 'back end' remuneration) and the then Article 15 (now 19) that allows authors and key performers the right to receive information on how their works are being exploited "at least once a year". These remain unchanged in the current proposal. The provisions also include an alternative dispute resolution procedure and a right of revocation for authors/performers where there is a lack of exploitation under a licence or assignment. Under Article 17 there is now an express exception for Internet Memes / GIFs: "uploading protected works for quotation, criticism, review, caricature, parody or pastiche has been protected even more than it was before, ensuring that memes and Gifs will continue to be available and shareable on online platforms". Furthermore, doubts remain about how the Article 17 obligation will work in practice and there is the possibility of differences in interpretation by different Member States. How far will a platform have to go to escape liability? Will worried platforms over censor (banning even permitted uses) to ensure they are not liable? Does the potential use of automated filtering systems risk freedom of expression? It remains to be seen how far it will really go and further guidance will be required. The European Commission has, however, clarified that the Copyright Directive is not intended to target individual internet users who can continue to share content online as before, which should alleviate some of the more dramatic fears over "breaking/killing the internet". We will have to see whether this differentiation will work in practice. Research organisations, cultural heritage institutions and educational establishments will note that the Copyright Directive includes specific mandatory exceptions and limitations for their use of digital material for educational, scientific research and cultural heritage preservation purposes. There are also provisions that relate to out-of-commerce works, audio-visual works on video-on-demand services, and works of visual art in the public domain. the duty-free lobby even claimed that airports would close down as a result of the end of duty-free shopping in the single market." Time will tell whether the Copyright Directive will have the desired effect of obliging giant internet platforms and news aggregators to pay content creators fairer sums and whether it will better enforce the existing rights of creatives and journalists. Given the contentious nature of this directive, whilst it looks set to become law across the EU, there is likely to be continued pushback from critics and this will play out through legal challenges in national and EU courts. Watch this space.